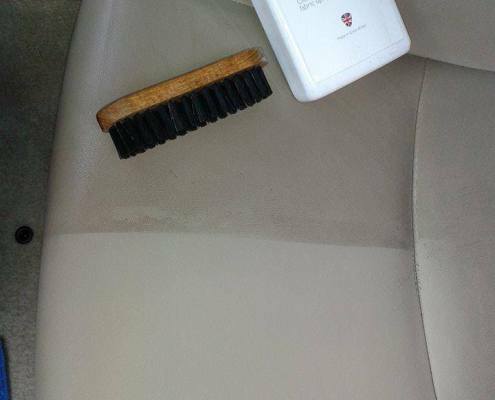 Frequency of the cleaning depends on milage and usage of the vehicle. 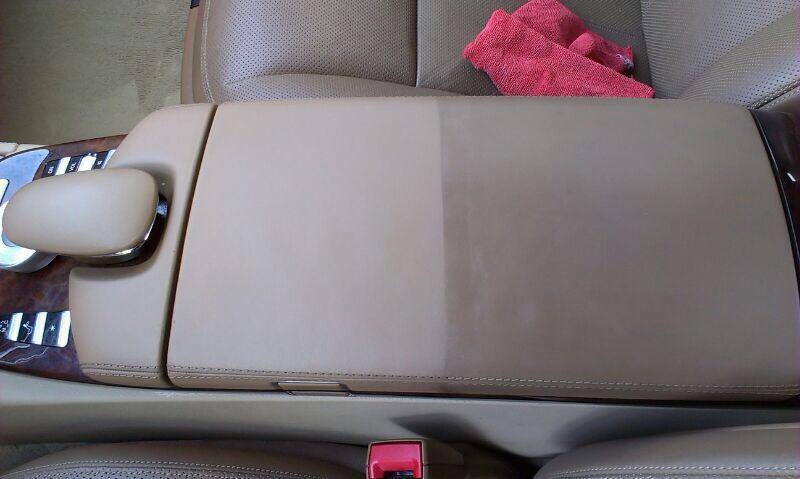 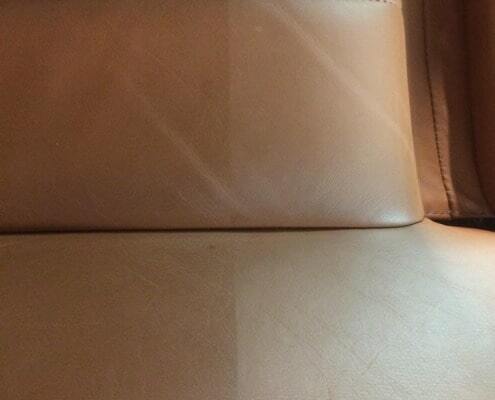 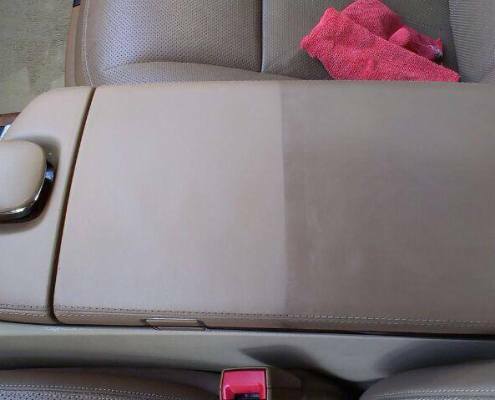 If you use the car every day, KV Detail recommends to clean the leather at least once a year. 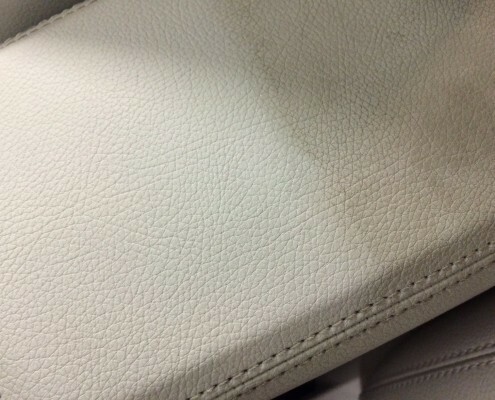 Impregnation of the cleaned leather surface should always be a part of deep cleaning. 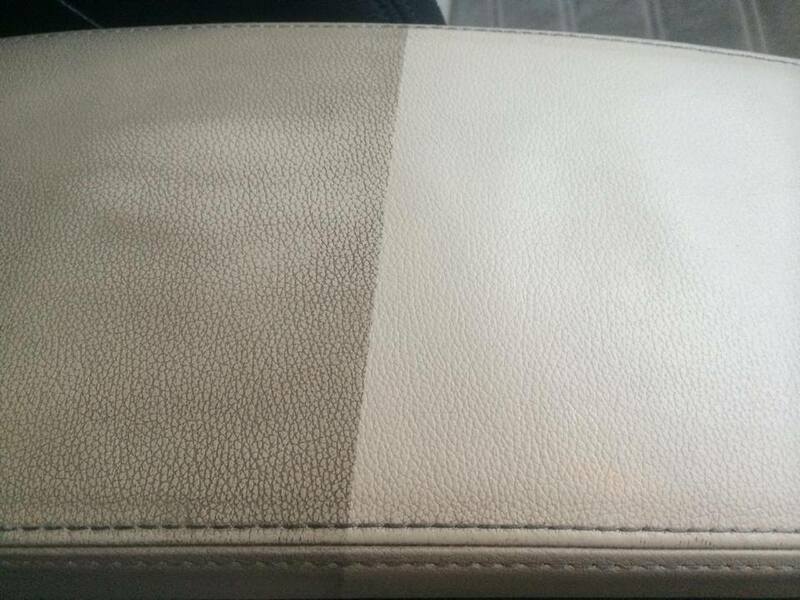 Main base (leather) is mostly grey or green. 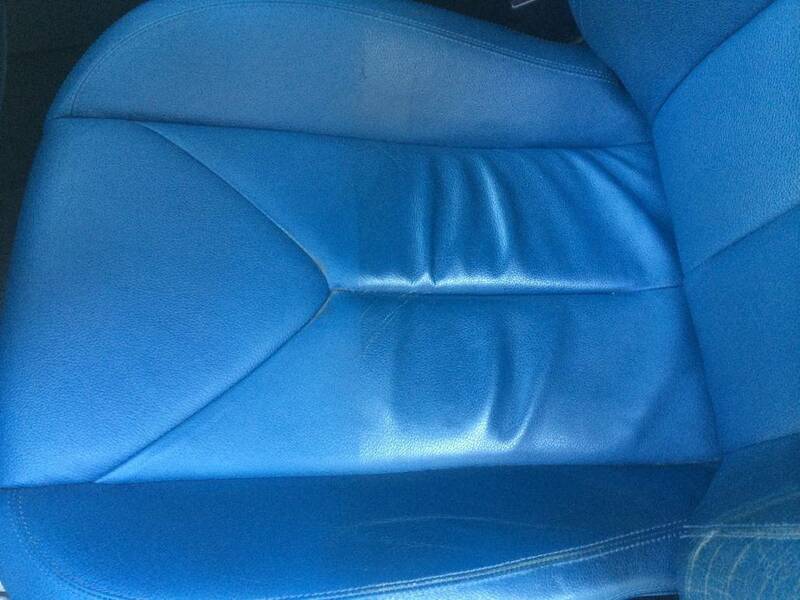 This “base” is painted blue for interior to look trendy. 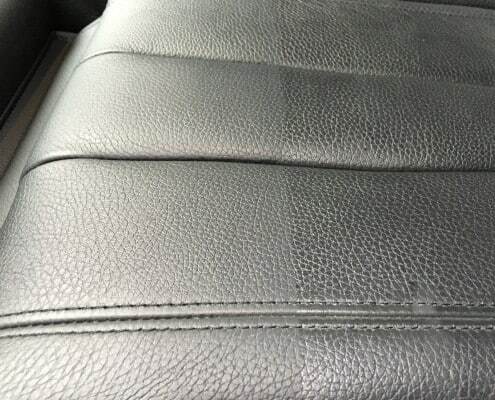 This top layer requires maintenance. 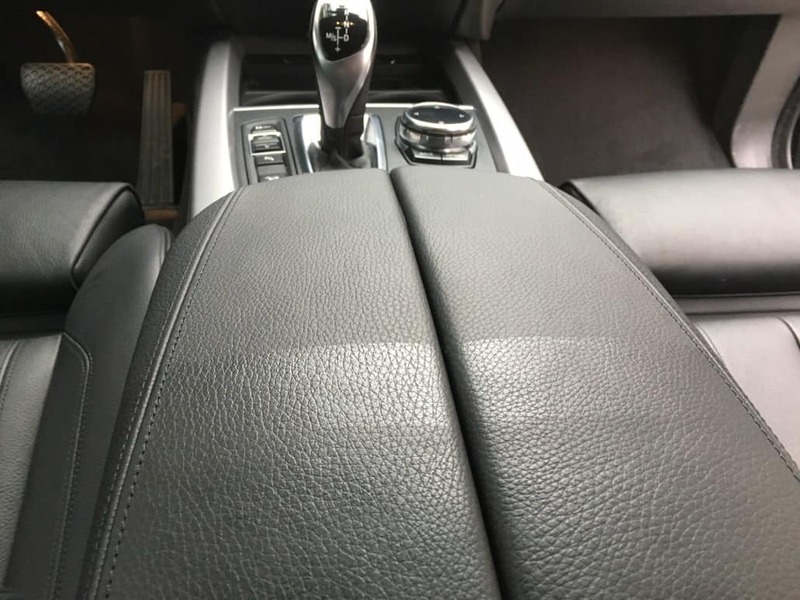 How to detect dirty leather? 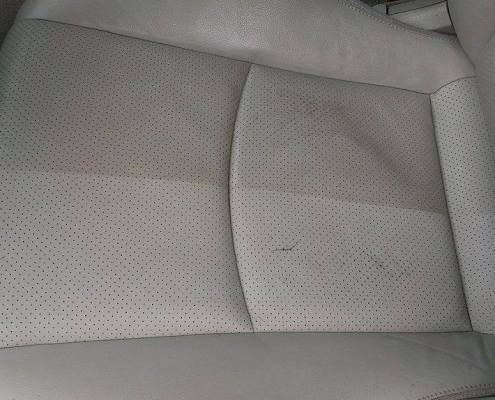 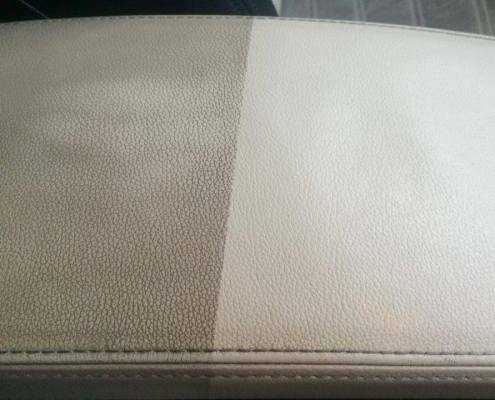 In KV Detail Ružinov, Bratislava, we clean the leather with soft brushes or special mini-sponges with light abrasivity and microfibre cloths for dirt removal. 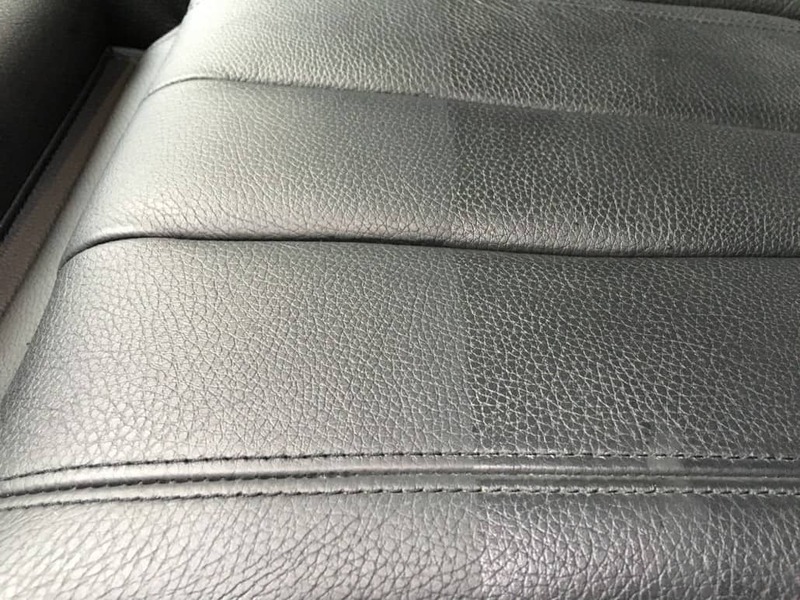 If you want to clean the leather by yourself, always try the cleaner on a small space first (not so visible) so you can test if the surface or color will be harmed or not and brush does not scratch the surface. 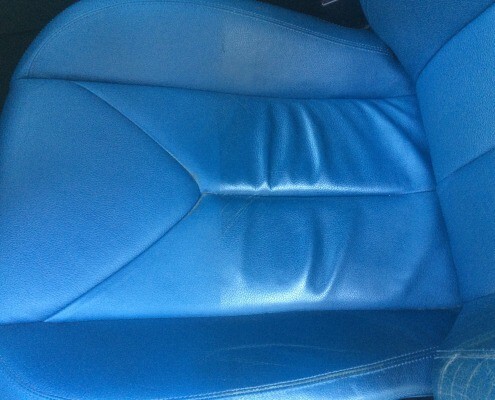 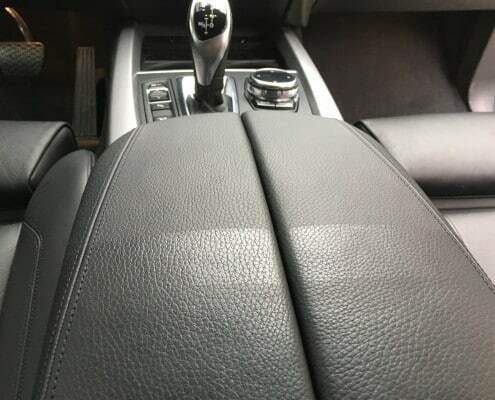 You should pay special attention to drivers seat where the leather is often ruptured or can be easily damaged. 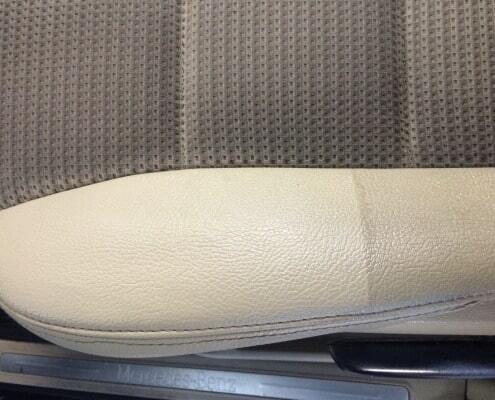 Other problematic places for leather can be armrest, steering wheel or armrest on drivers door side. 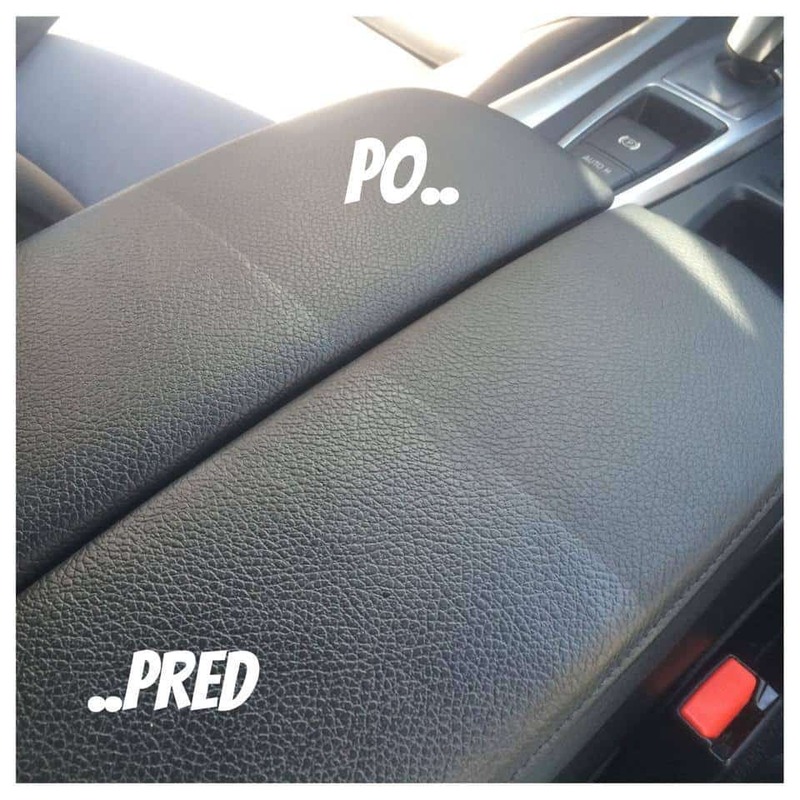 It is better to angle your seats for easier cleaning. 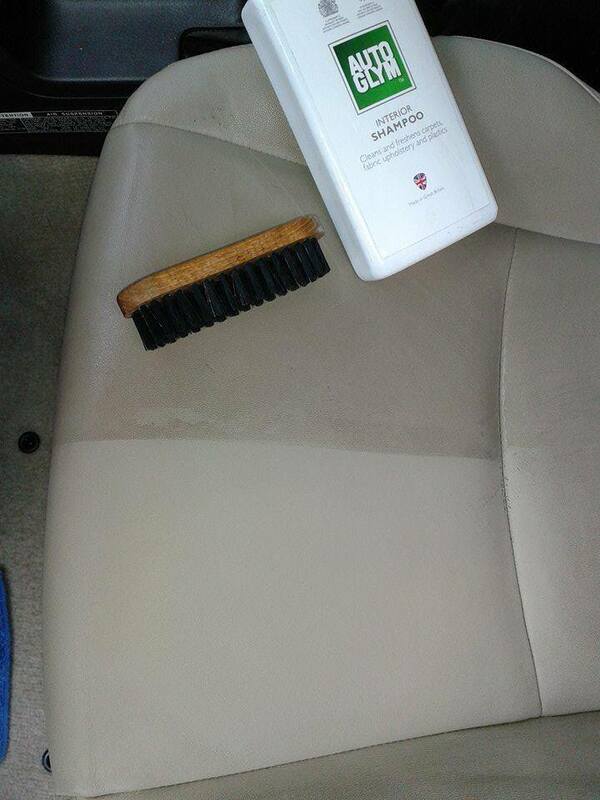 After cleaning and no other dirt on brush you should let the surface dry. 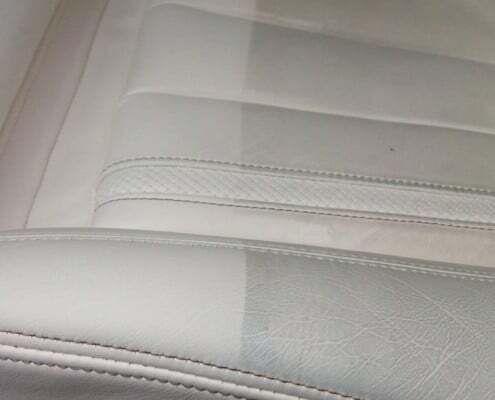 Second step is embalming. 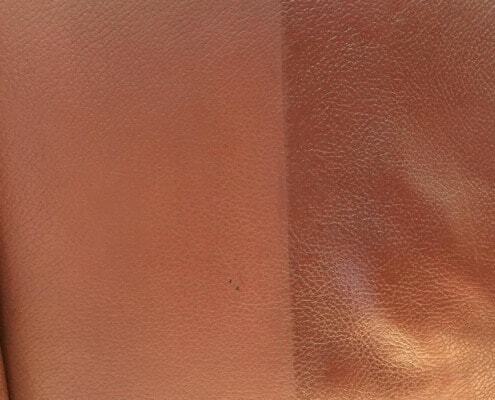 Balm will impregnate the leather and will absorb it and leave it vital. 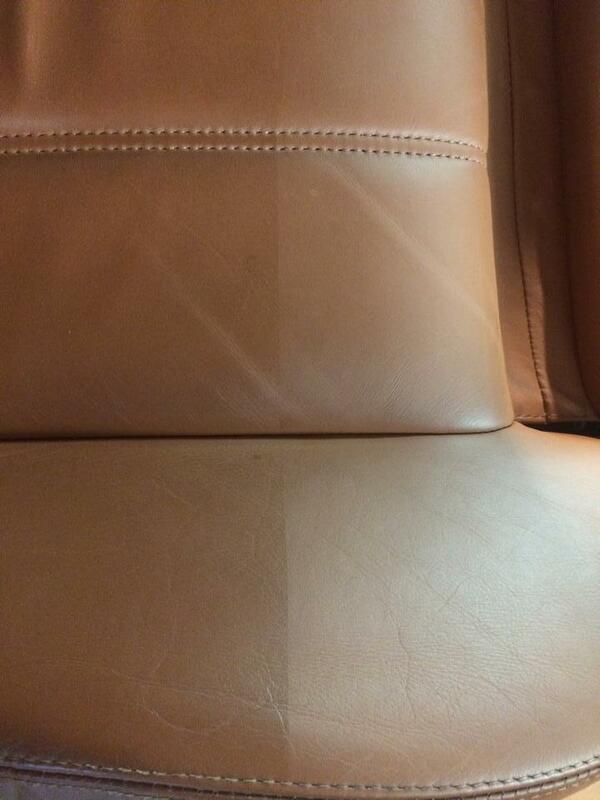 Regular embalming after cleaning will protect the leather from rupturing and drying. 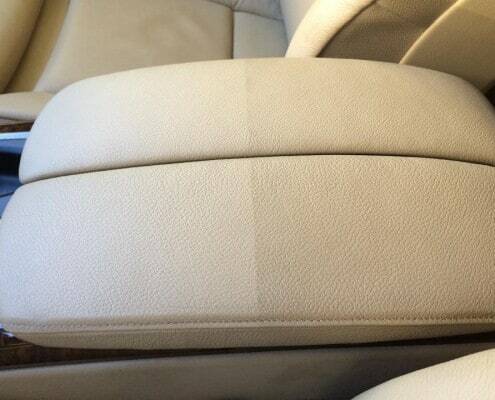 You should use some extra balm on the most problematic places – around driver. 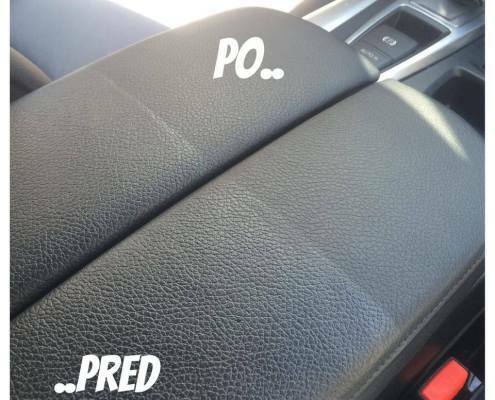 In case of fast impregnation and absorbtion it is recommended to embalm one more time – this can happen around driver. 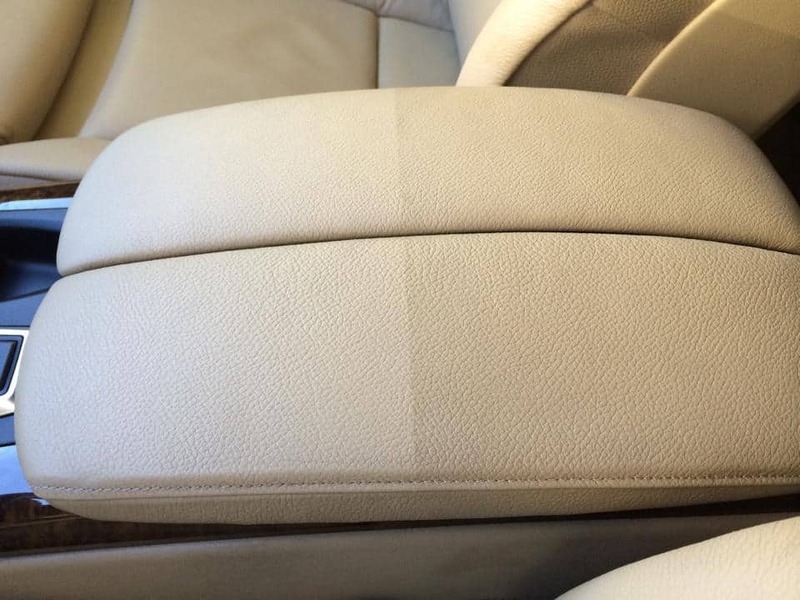 Market offers a lots of quality and safe balms designed for car leather. 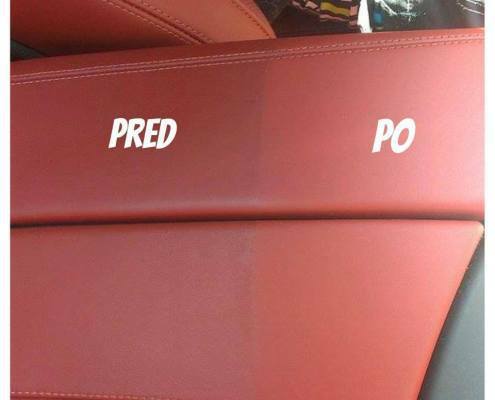 It is important to pick one by the smell. 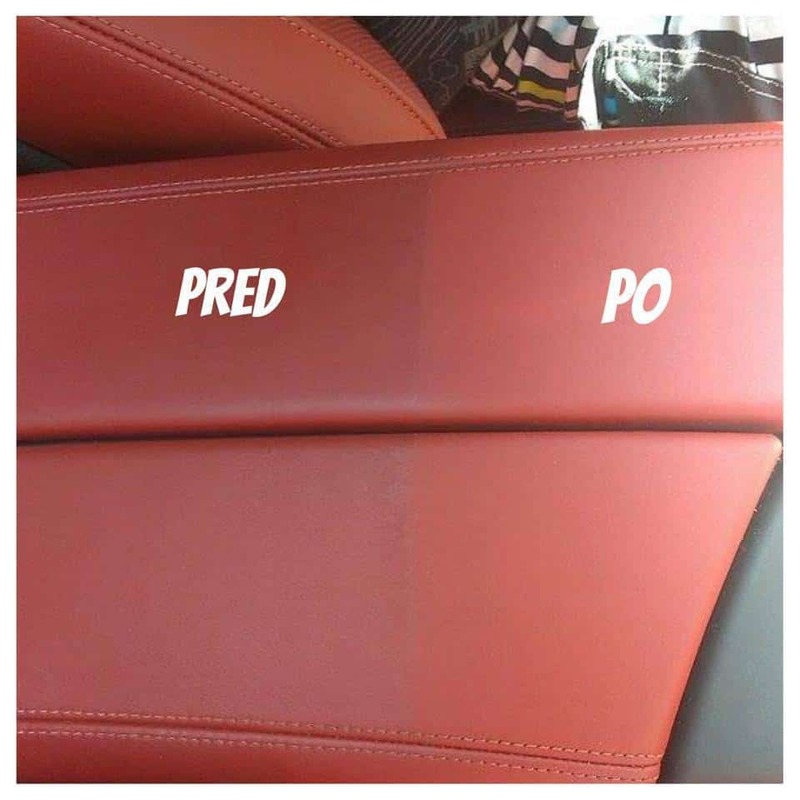 Prevention is important. 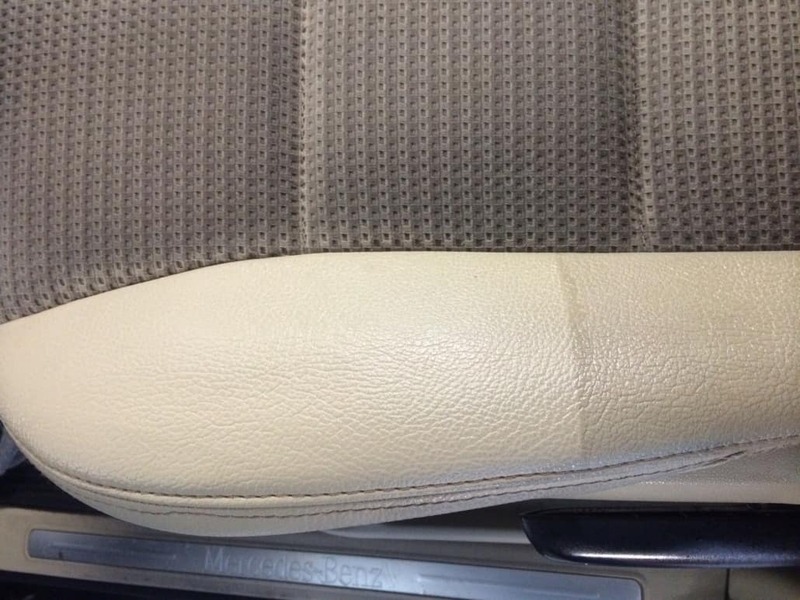 If the leather is light, you should be careful with new jeans. 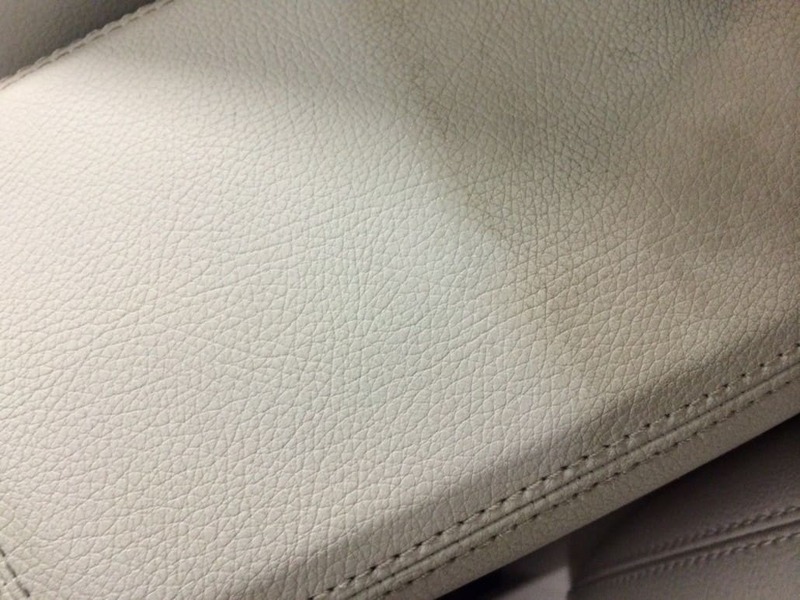 We recommend to wash them first and impregnate the leather using nanotechnologies. 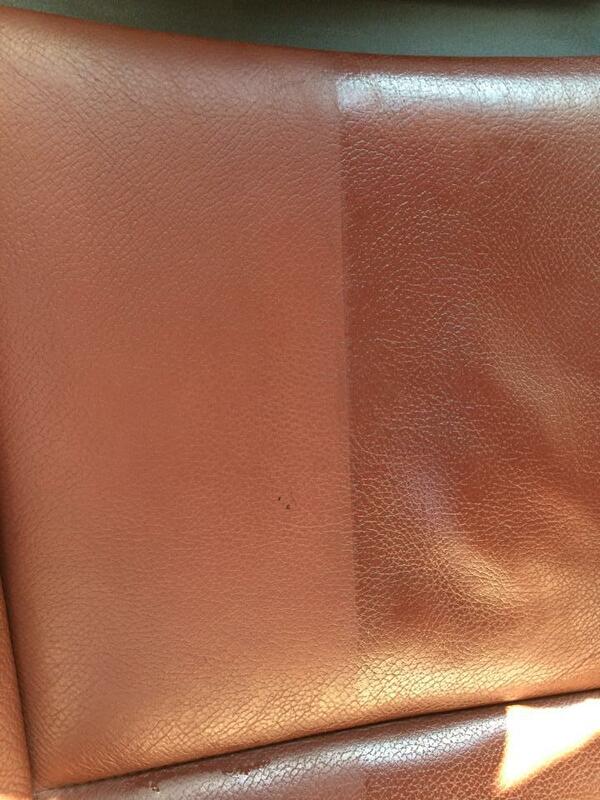 Seats will be easier clean this way. 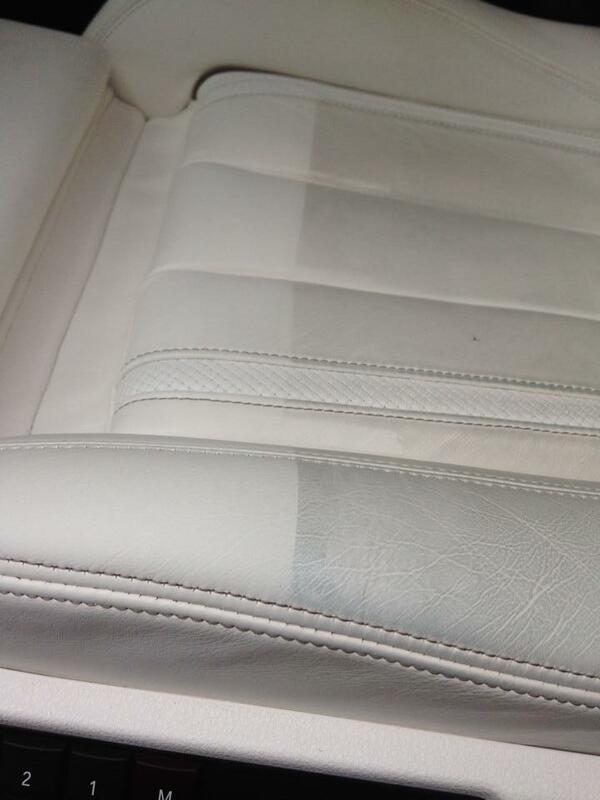 We know from experience that beige and white leather can get blue jeans color easily and will be hard to clean! 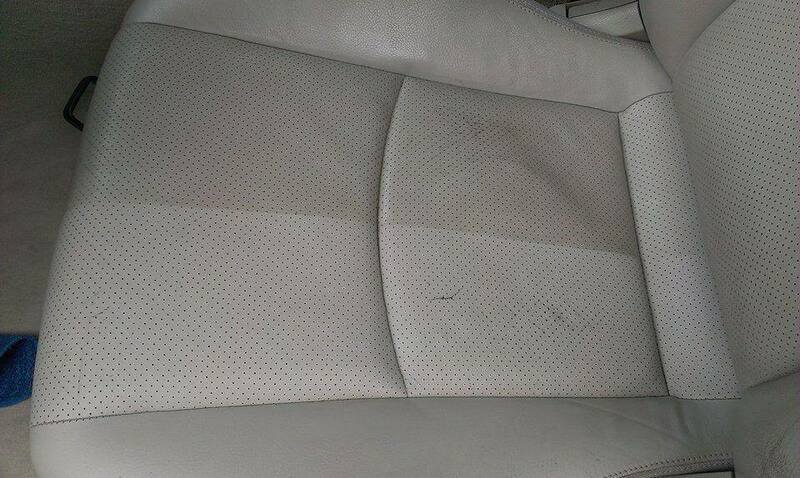 Leather cleaning will be happily applied here in KV Detail Hand Car Wash in Ružinov, Bratislava.